This painting won the Wynne Prize in 1931 and was acquired by the Gallery in 1931. Signed and dated l.l. 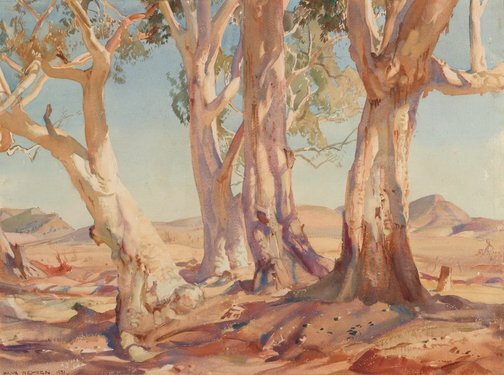 corner, dark brown watercolour "Hans Heysen 1931". Australian images: Prints, drawings and watercolours from the collection , Sydney, 1979, 6. Hans Heysen , 'Critical reception: 'A new note in Australian scenery'', pg. 108-111, Adelaide, 2008, 110, 111 (colour illus. ), 135 (colour illus.). 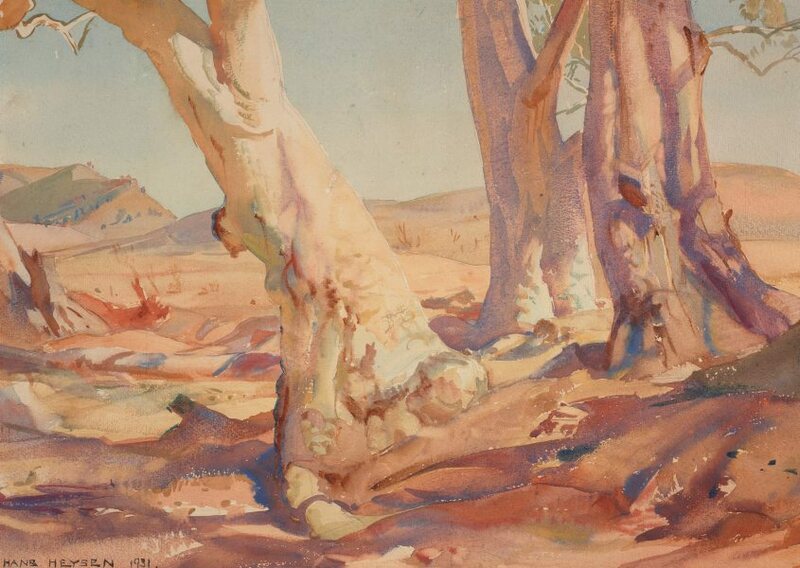 Matthew Cawood, The Flinders Ranges , 'Hans Heysen', pg. 44-45, Sydney, 2000, 44 (colour illus.). The Wynne prize: an Australian landscape tradition , Sydney, 1986, 25.